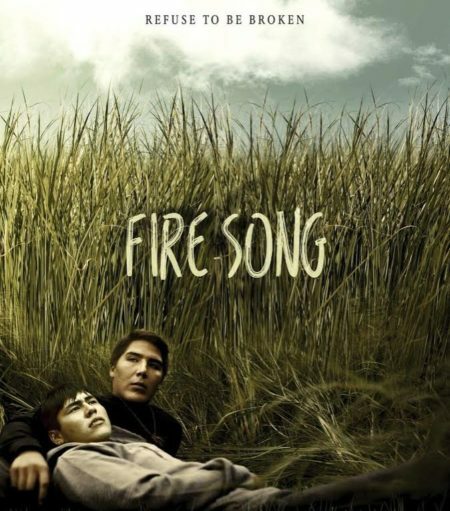 (Toronto, ON) If you are going to be in the Toronto on Friday, May 13, 2016, and you’re looking for some Two-Spirit entertainment on the big screen, then check out Fire Song. After its debut at the 2015 Toronto International Film Festival and a wildly successful festival run, the first feature from acclaimed director Adam Garnet Jones, and an Indigenous Two-Spirit filmmaker, will make its theatrical premiere at the Carlton Cinemas located at 20 Carlton St, Toronto, ON on Friday, May 13th at 7:00 followed by a Q&A session with the Adam Garnet Jones. Fire Song is set on the reserve at Wabigoon Lake Ojibway Nation and Fort William First Nation in northwestern Ontario and provides a vivid backdrop to the daily turmoil of Shane (Andrew Martin), a Two-Spirit Anishnaabe teenager struggling to support his family in the aftermath of his sister’s suicide. Shane is to move to the city for University in the fall, and he has been trying to convince his secret boyfriend David (Harley LeGarde-Beacham) to come with him, but now everything is uncertain. Shane is torn between his responsibilities at home and the promise of freedom calling to him from the big city. He pushes through barrier after barrier, determined to take care of his mom and earn money for school. When circumstances take a turn for the worse Shane has to choose between his family or his future, all while trying to be true to himself. Director Adam Garnet Jones is a Two-Spirit Cree/Metis filmmaker originally from Edmonton. His short films have been broadcast widely on television and at film festivals. In 2008, Adam received the imagineNATIVE/Canwest Mentorship Award and was the recent recipient of the RBC Emerging Artist Award and the Jim Burt Screenwriting prize for the script for Fire Song. He recently wrapped production on his second feature film, Great Great Great. Fire Song will have a limited engagement at the Carlton Cinemas from May 13th through to the 19th with the possibility of it being held over longer, and at the May 13th 7:00pm and at Saturday and Sunday’s 2:00pm and 7:00pm showings will be followed by a Q&A with Adam Garnet Jones.